For most businesses, an office desk is where your employees will spend most of their days. The office desk is the place where their creativity and productivity should be at its highest, so it is therefore important that the workspace is open, inviting and overall is a place where your employees enjoy spending time. 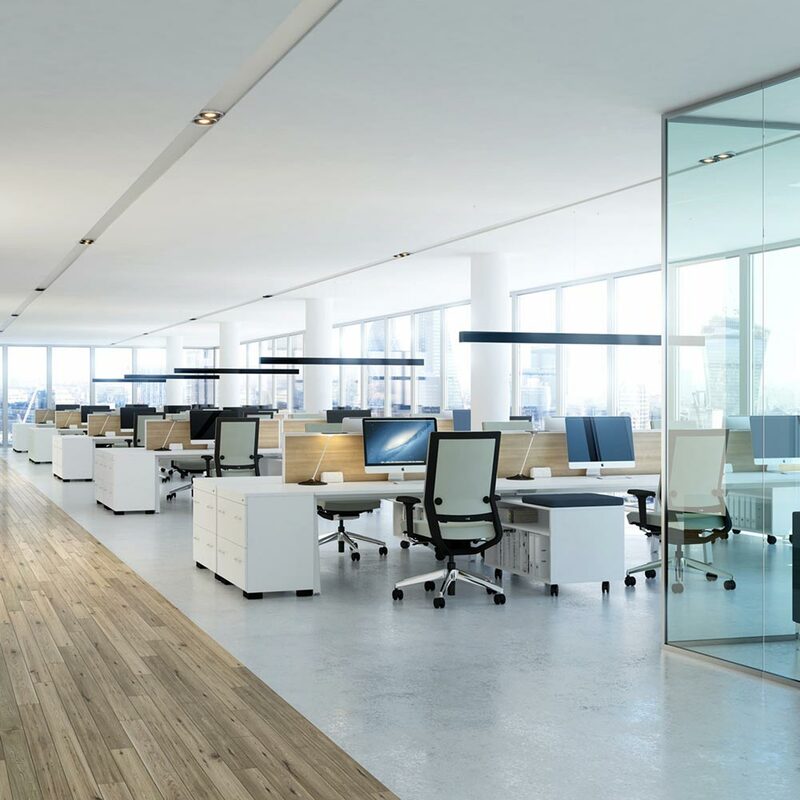 Because of the amount of time they spend there, it is important that the area be as comfortable as possible in order for your employees to produce their best quality work. Fundamentally, all it boils down to is the right desk and chair. 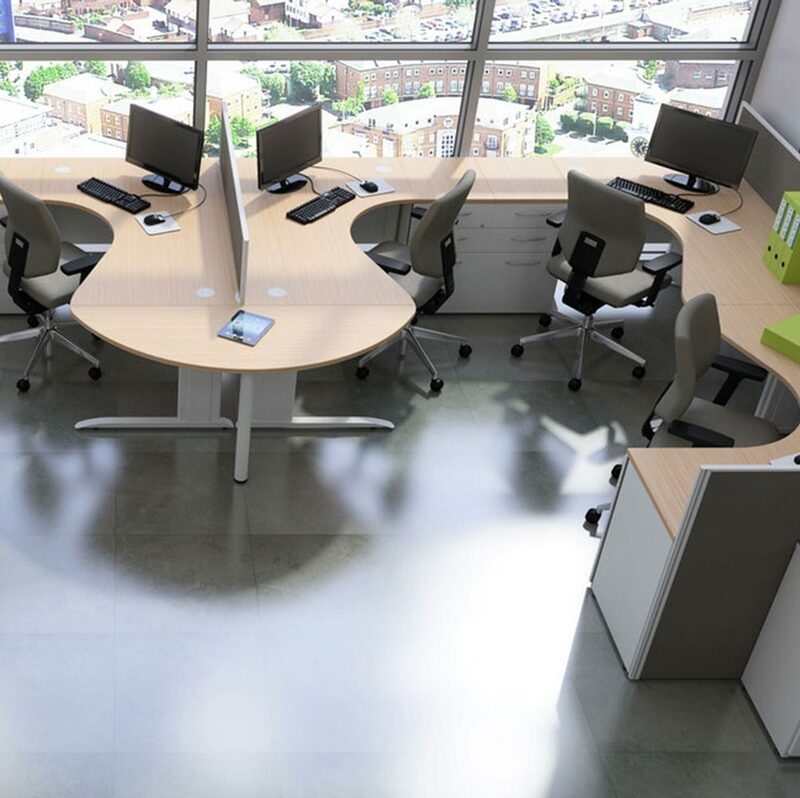 Although it may not seem that difficult, finding the right desk and chair that will encourage your employees to work their hardest can be a challenge. Rapid Office can help. In a world where everything is fast-paced and instant, hot desking has emerged as a more efficient use of office space. This term refers to a workspace area that is used by several different employees at different times. Although this may seem like a difficult method to employ, it can save up to 30% of space in small offices. If you’re thinking about investing in hot desks as part of your new office furniture, think carefully about what makes up this kind of workspace. As it’s going to be used by multiple people, organisation is key. The best kind of desks for this purpose is one that has multiple drawers or cabinets or has access to lockers. That way, each worker has a space to store their documents before giving it over to the next person. Bench style office desks are the most common type of office desk and could be the best option for you. Not only is this style aesthetically pleasing, by insetting and sharing the legs multiple people can use the larger ones, thus allowing you to save money by using fewer parts. 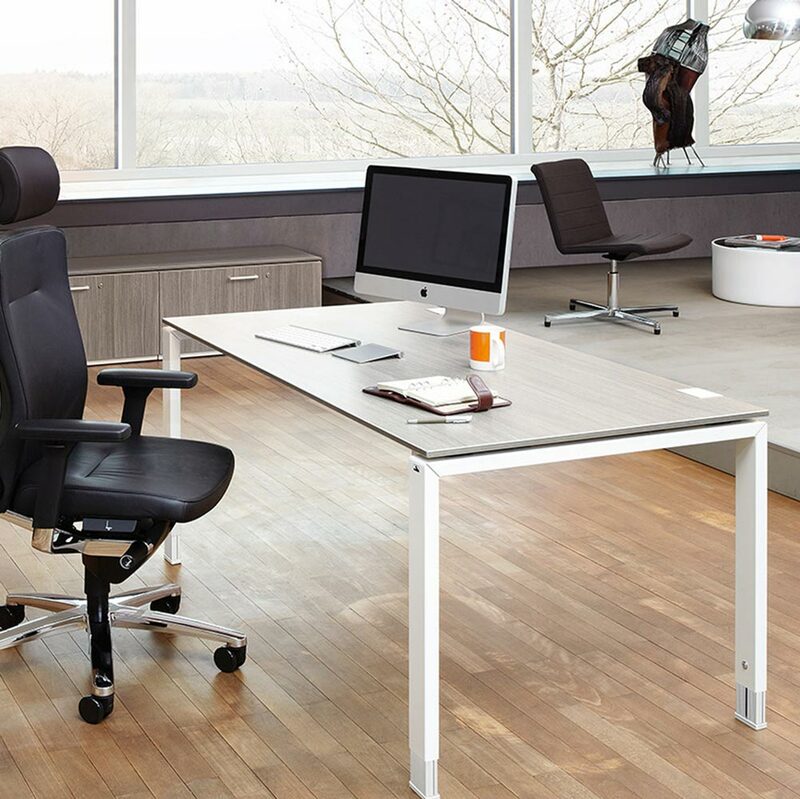 Bench desks allow for maximum leg-room and the introduction of ergonomic footrests. They are also incredibly adaptable and can be fitted with accessories such as privacy dividers, cable baskets and shelves. This style suits most offices but you should make sure you consider your space planning before purchasing bench style desks. Executive office furniture is used to make a statement. It can show people that you are professional and dedicated to your work. By having an executive desk in your office as a focal point, you have somewhere to discuss business with clients and your employees. But an impressive executive desk doesn’t have to cost the Earth. Consider the style of your office, as well as your personal tastes, before purchasing a desk. Make sure that it fits in with the rest of your office, otherwise it just won’t look right. Don’t choose a desk that is too big for your office. On the other hand, a desk that is too small doesn’t give you the space you need to be productive and organised. What makes a good desk space? 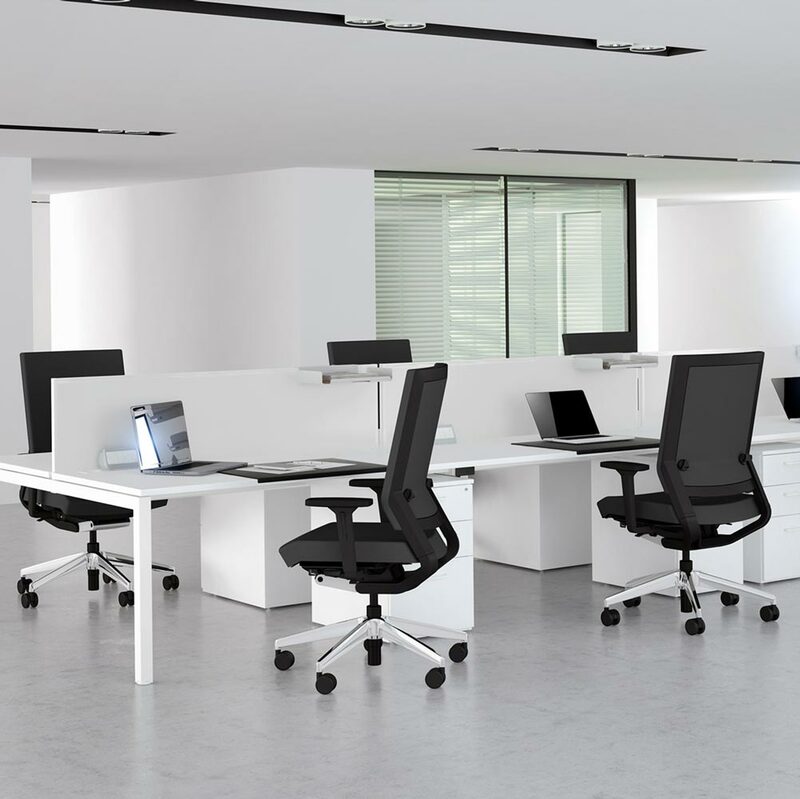 The two most essential pieces of office furniture are a desk and chair, so be sure to spend a good amount of time selecting the desks that are right for your workers. Before making any big decisions, consider the type of office that you have, and the type of industry you work in. 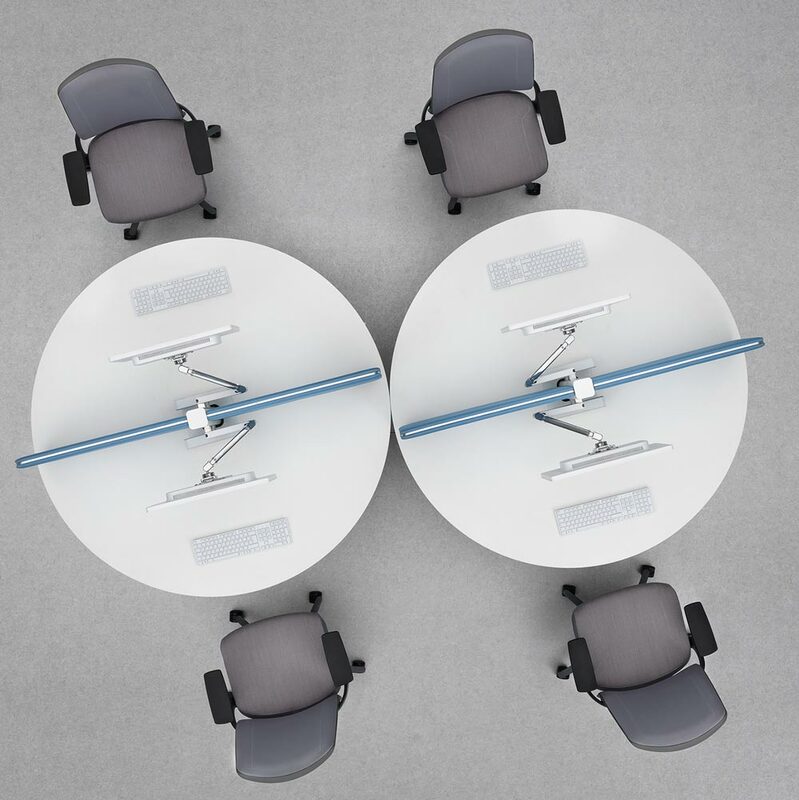 A bench style desk is more suited for employees who need to collaborate and discuss ideas regularly, whereas singular desks with privacy dividers would make supervisors and managers much more productive.